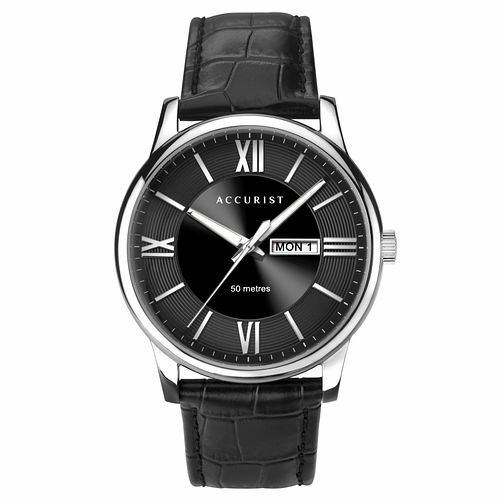 Timeless in style, this Accurist men's watch is fastened with a black croco grain leather strap and features a stainless steel case which displays a striking black dial with day and date display. This simple and original timepiece is perfect for any place and any occasion. Accurist Men's Black Leather Strap Watch is rated 5.0 out of 5 by 1. Rated 5 out of 5 by Anonymous from Very good Very good product, good delivery time. Would buy again.